Ordinance or Law coverage provides coverage for upgrades to the building that are required by the local or state authorities that govern the rebuild after a loss. For example, a building that was built in 1980 may not have been required to have a fire suppression system but after a 2017 loss, a fire suppression system may be required. The cost to retrofit a system into a building can be extremely expensive. The base amount of Ordinance or Law coverage under the typical Commercial Package Policy is only $10,000. Therefore, if the association does not purchase additional coverage through an endorsement, there can be a huge shortfall after a loss. Many condominium associations have a management company. After a casualty loss, the management company performs a vast array of services immediately and these costs are typically covered under the insurance policy. However, management agreements may also have a clause that allows the management company to assist in the reconstruction process for a fee based on the amount of the repair. Insurance companies fight these fees stating that the insurance policy only pays for the direct cost of repairs and not for the management contract. Again, these fees may not be covered by the association’s insurance policy. Most condominium by-laws require the association to insure the building for 100% of the replacement cost of the building. We find that this is usually not the case and most buildings are underinsured. The association’s policy typically has a co-insurance clause. This allows the insured to receive replacement cost coverage even though the building may only be insured up to 80% of its replacement cost value. However, if the building is grossly underinsured, then the association becomes a co-insurer with the insurance company. For example, if the cost to replace the building is $1,000,000 and the limit of insurance is only $500,000, then the insured is a co-insurer for 50% of the claim. There may be no intent to carry a low limit of liability on the association’s part, but as construction costs increase, the limit of insurance must also increase with inflation and the marketplace. SMW suggests that all associations have an appraisal completed to make certain their limits of insurance are accurate. With improper limits of insurance, the association can get hurt by receiving the low limit of insurance or only a percentage of the loss - and reconstruction may not be financially feasible. We would be remiss if we did not inform the association that public adjuster fees are not covered costs under the majority of insurance policies. But our condominium association and unit owner clients unanimously agree that our services in the claims handling process are invaluable to an association - which is usually run by a volunteer board whose lives have been disrupted and who have jobs and families to care for. Should you increase your coverage? Unit owner policies may provide more comprehensive coverage than the association’s policy. Wind-driven rain that may enter a building through a window or seep through roof penetrations are not covered losses under a commercial policy but an all risk unit owner policy will cover these losses. Second, some association policies will not cover a frozen pipe loss from your neighbor if they do not maintain heat in their unit. Your neighbor’s actions could cause a water loss but the association’s policy may not provide coverage. 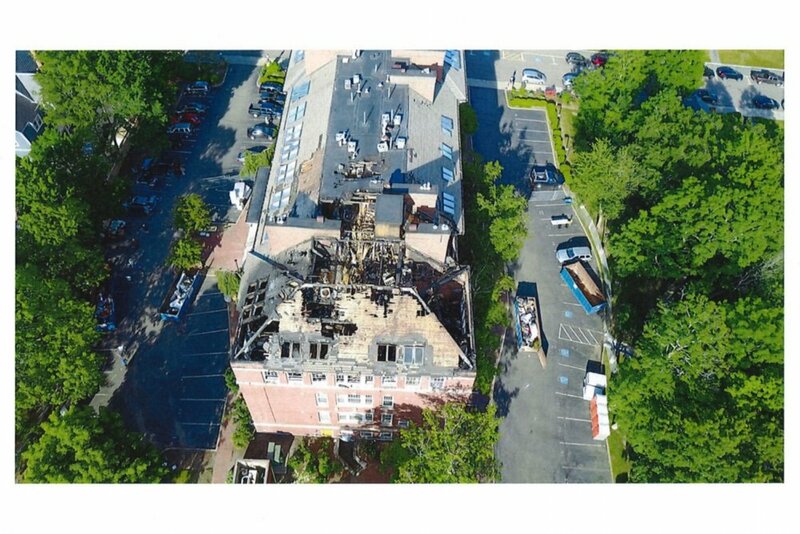 Again, if you have an all risk unit owner policy, coverage would be afforded for the building damage.